A new kind of strategy game by Ukraine-based developer studio “Aratog LLC” is slowly on the horizon and just about every gaming platform known is man is invited to play. 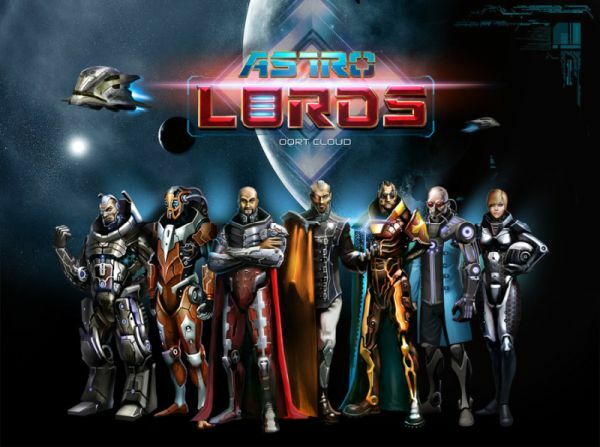 Astro Lords is a cross-platform massive multiplayer online 3D space strategy game that takes place in the Oort Cloud – a huge formation of scattered asteroids lying beyond the borders of the Solar System. Each player begins the game as an Astro Lord controlling a single asteroid stronghold. As the game progresses, more asteroids can be seized through battles with other players. Astro Lords: Oort Cloud is currently a beta, and on December 12, Aratog LLC launched a Kickstarter campaign to help speed up the release of the game. Astro Lords: Oort Cloud puts emphasis on several key components: real-time space battles against AI or other Astro Lords, enhancing asteroids by building factories, mines, defenses and space ships, and exploration of the Oort Cloud to find resource-abundant places and to trade and communicate with other players. Combined together, the components assemble into balanced and captivating gameplay with serious strategic and tactical depth. The Game Connection Europe has also nominated Astro Lords for European Selected Projects Awards 2013 in the “Social, Casual & Online”, along with excellent graphics and immersive gameplay in a category among 184 games reviewed.